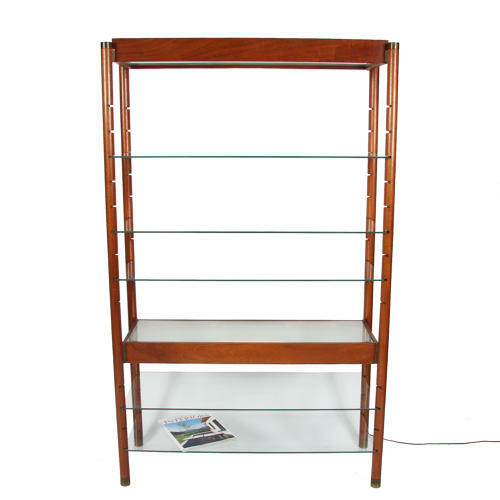 A wooden and glass bookshelf, with two lit shelves. Shelves are adjustable. Rewired and PAT tested. With twisted silk flex.